Made for Feb MAG 2018. 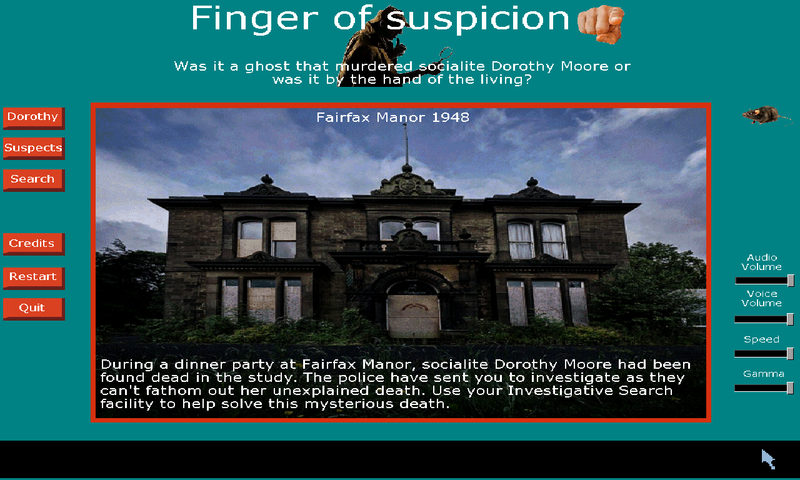 Dorothy Moore has been found dead at Fairfax manor. Was it the ghost of fairfax manor that murdered her or was it by the hand of the living? This is unique search by keywords(s) that you hear or see to further your investigation with some help from your pet rat, Hugo. Can you solve this murder mystery? I really like the concept of this game. I think there are a few kinks to be ironed out, but the idea is really good and I think could be expanded upon to make a really decent game.